SAP SE (NYSE:SAP) was in 14 hedge funds’ portfolios at the end of the fourth quarter of 2018. SAP has seen an increase in enthusiasm from smart money lately. 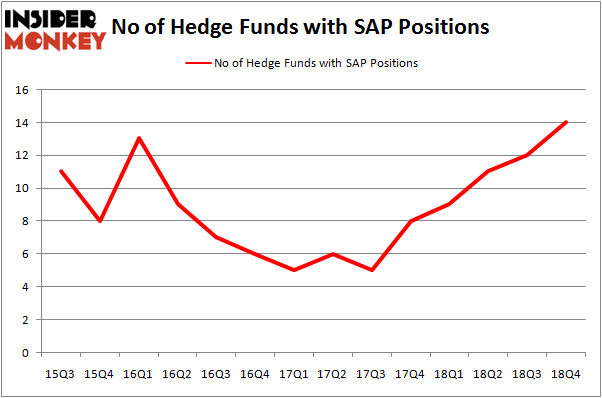 There were 12 hedge funds in our database with SAP positions at the end of the previous quarter. Our calculations also showed that SAP isn’t among the 30 most popular stocks among hedge funds. Let’s take a look at the fresh hedge fund action encompassing SAP SE (NYSE:SAP). How have hedgies been trading SAP SE (NYSE:SAP)? At Q4’s end, a total of 14 of the hedge funds tracked by Insider Monkey were long this stock, a change of 17% from the second quarter of 2018. On the other hand, there were a total of 9 hedge funds with a bullish position in SAP a year ago. So, let’s examine which hedge funds were among the top holders of the stock and which hedge funds were making big moves. More specifically, Fisher Asset Management was the largest shareholder of SAP SE (NYSE:SAP), with a stake worth $689.5 million reported as of the end of September. Trailing Fisher Asset Management was Soroban Capital Partners, which amassed a stake valued at $436 million. Arrowstreet Capital, Alyeska Investment Group, and Renaissance Technologies were also very fond of the stock, giving the stock large weights in their portfolios. As industrywide interest jumped, some big names have jumped into SAP SE (NYSE:SAP) headfirst. Alyeska Investment Group, managed by Anand Parekh, created the biggest position in SAP AG (NYSE:SAP). Alyeska Investment Group had $40.9 million invested in the company at the end of the quarter. 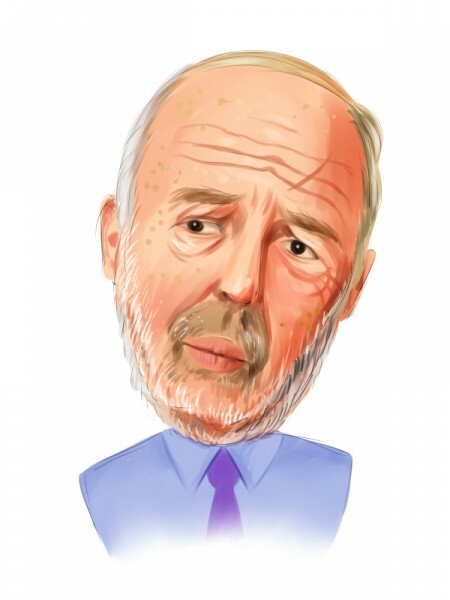 Jim Simons’s Renaissance Technologies also made a $22.4 million investment in the stock during the quarter. The following funds were also among the new SAP investors: Phill Gross and Robert Atchinson’s Adage Capital Management, Claes Fornell’s CSat Investment Advisory, and Matthew Tewksbury’s Stevens Capital Management. Let’s check out hedge fund activity in other stocks similar to SAP SE (NYSE:SAP). These stocks are Medtronic plc (NYSE:MDT), BHP Group (NYSE:BHP), NIKE, Inc. (NYSE:NKE), and Netflix, Inc. (NASDAQ:NFLX). This group of stocks’ market values match SAP’s market value. As you can see these stocks had an average of 53.5 hedge funds with bullish positions and the average amount invested in these stocks was $2960 million. That figure was $1337 million in SAP’s case. Netflix, Inc. (NASDAQ:NFLX) is the most popular stock in this table. On the other hand BHP Group (NYSE:BHP) is the least popular one with only 15 bullish hedge fund positions. Compared to these stocks SAP SE (NYSE:SAP) is even less popular than BHP. Our calculations showed that top 15 most popular stocks among hedge funds returned 19.7% through March 15th and outperformed the S&P 500 ETF (SPY) by 6.6 percentage points. Unfortunately SAP wasn’t in this group. Hedge funds that bet on SAP were slightly disappointed as the stock returned 13% and underperformed the market by 0.1 percentage points. If you are interested in investing in large cap stocks, you should check out the top 15 hedge fund stocks as 13 of these outperformed the market. Were Hedge Funds Right About Novartis AG (NVS)? Were Hedge Funds Right About The Coca-Cola Company (KO)? Should You Buy The Boeing Company (BA)? Were Hedge Funds Right About Merck & Co., Inc. (MRK)? Here is What Hedge Funds Think About Cisco Systems, Inc. (CSCO) Do Hedge Funds Love Taiwan Semiconductor Mfg. Co. Ltd. (TSM)?